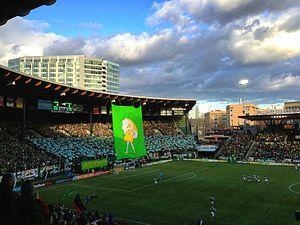 The Timbers Army displays a tifo before a match. Two professional soccer teams, the Portland Timbers of MLS and Portland Thorns FC of NWSL , use the facility as their home pitch, as do the PDL's Timbers U23s. The NCAA Division I FCS Portland State Vikings football team uses the park during the Big Sky season. The stadium has been host to several major sporting events including Soccer Bowl '77, the 1999 and 2003 FIFA Women's World Cups, the 2009 Triple-A All-Star Game, the 2013 CONCACAF Gold Cup, the 2014 MLS All-Star Game and the 2015 NWSL Championship Game. The stadium capacity of 21,144 is currently being expanded by approximately 4,000 seats, with renovation expected to be finished in late May or early June 2019. Originally, the park was owned by the Multnomah Athletic Club and used by their amateur sports teams. In the 1950s, the PCL Portland Beavers baseball team moved out of Vaughn Street Park into what was then known as "Multnomah Stadium." In 1966, the city purchased the stadium and renamed it "Civic Stadium." It was renovated in 2001 to accommodate the Beavers, who had not played at the park since the early 1990s. The naming rights of the stadium were purchased by Portland General Electric and it was renamed "PGE Park." In 2010, the park underwent renovations again, this time so it could accommodate the Portland Timbers MLS franchise and a year later the rights to the stadiums name were sold, this time to Jeld-Wen. In 2014, the name was changed again to "Providence Park" after Providence Health & Services bought the naming rights. 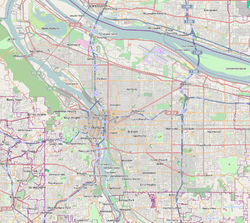 The stadium sits on a rectangular block bounded by Southwest Morrison Street, Southwest 18th Avenue, the Multnomah Athletic Club building and Southwest Salmon Street, and Southwest 20th Avenue. Providence Park is an outdoor stadium which houses the MLS Portland Timbers, NWSL Portland Thorns, and Portland State University Vikings football. The stadium underwent a $31 million renovation in late 2010 and early 2011. The stadium is owned by the City of Portland, and is managed by Peregrine Sports, LLC, the entity that owns the Timbers and Thorns. Prior to the 2011 MLS season, the stadium was renamed Jeld-Wen Field from PGE Park, in a partnership with Klamath Falls-based company Jeld-Wen. Jeld-Wen is a manufacturer of windows and doors, leading to the stadium's nickname, "The House of Pane." In 2014, the stadium was renamed Providence Park after a partnership with Providence Health & Services was announced. The Multnomah Athletic Club, an athletic club in downtown Portland, stands next door; the windows of the north side of the club's building overlook the field. The Interstate 405 freeway in Portland is also known locally as the Stadium Freeway and travels near the stadium. In addition, the Providence Park MAX Light Rail station is across the street. The property slopes significantly downhill from the south end to the north end, with the result that the playing surface sits well below street level. The elevation at street level is approximately 110 feet (35 m) above sea level. The stadium is currently home to the Portland Timbers of MLS, Portland Thorns FC of NWSL, and is also used for several Portland State University Vikings football home games each season. The Portland Beavers minor league baseball team of the Pacific Coast League (PCL) had played some games at Multnomah Field during 1905 when their Vaughn Street Park was temporarily reconfigured to host a track and field event. They moved into Multnomah Stadium in 1956 after over a half century at Vaughn Street, a wooden ballpark which was soon demolished. The sod from the baseball field at Vaughn Street was transferred to the new venue; Civic Stadium installed artificial turf in 1969. From 1973 to 1977 the independent Portland Mavericks of the Northwest League played their home games at the stadium. Actor Kurt Russell was an infielder for the Mavericks. The Beavers returned to Portland in 1978 until 1993 when they were moved out of the city again. The Class A Portland Rockies were established in 1995 and played at the park until 2000 when they were moved and renamed the Tri-City Dust Devils. In 2001, the Albuquerque Dukes were moved to Portland and renamed the "Beavers" marking the third time the franchise would occupy the park for their home games. As a baseball venue, the stadium had an unorthodox south-southeast alignment, with home plate in the northwest corner (20th and Morrison) of the property. After it was announced that Major League Soccer was moving a franchise to Providence Park (then known as PGE Park) the Beavers baseball team had to start looking for a new stadium. However, the plan never came to fruition and team owner Merritt Paulson put the Beavers up for sale. The club's major-league parent, the San Diego Padres, purchased the team, which moved to Tucson, Arizona as the Tucson Padres. The team played its final game at the stadium on September 6, 2010. The stadium hosted the USFL's Portland Breakers, as well as the Portland Storm and Portland Thunder of the WFL. Soccer has been hosted at Providence Park since the original Portland Timbers were founded in the original North American Soccer League in 1975. Various iterations of the team have called the stadium home, including the 1980s version in the Western Soccer Alliance and the 2000s version in the USL First Division before the MLS club was formed. Since 1893, the site had been home to Multnomah Field, which consisted of sports fields with various grandstands. The stadium was built in 1926 for $502,000, by what is now known as Multnomah Athletic Club, who named it Multnomah Civic Stadium. The site was used for college football (including seven Civil War games between the University of Oregon and Oregon State University), cricket matches and greyhound racing. 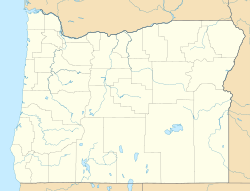 Well into the 1960s, most significant football games hosted by Oregon and Oregon State were held at this site because of its capacity. Oregon played in 107 games at Multnomah/Civic Stadium between 1894 and 1970. The University of Washington played all its road games against Oregon and Oregon State at Multnomah Field/Multnomah Stadium until 1966 (OSU) and 1967 (Oregon). 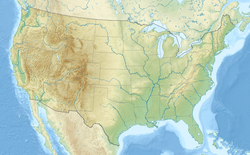 The site also hosted the Portland Rose Festival coronation and a Fourth of July appearance by President Warren G. Harding. In the 1950s, the Portland Beavers moved to the stadium after their original field, Vaughn Street Park, was condemned. In 1966, the Multnomah Athletic Club sold the stadium for $2.1 million to the city of Portland, which renamed it Civic Stadium. A $38.5 million renovation took place in 2001, upgrading the seating and concourse area, and adding new luxury suites and club seats. The renovation improved the structural soundness of the facility, and introduced a new sound system. The renovation also includes some retro-features, such as a manually operated baseball scoreboard. At that point, PGE bought the naming rights and it became PGE Park. In July 2009, after attempts to both find a new home for an MLS franchise and identify a site for a new home for the Portland Beavers, the Portland City Council approved a $31 million renovation to make PGE Park ready for the 2011 Major League Soccer season, by reconfiguring the stadium primarily for soccer and football. The decision led to the departure of the Beavers. The renovation was performed by Turner Construction, who served as the general contractor and also performed the 2001 renovation, and Ellerbe Becket as the primary architect. A presentation to the Portland Design Commission indicated that 5,000 seats would be added, bringing capacity to about 22,000, but with only about 18,000 available for use on a regular basis. The renovation met Major League Soccer standards, introduced a new playing surface, which shifted west and north, and added space on the east and south sides, with new seating areas and new amenities. The Lighthouse Impact 16 main video screen was designed by Anthony James Partners and features over 74 square meters of LED video. A Lighthouse B10 pitchside display runs the length of the east side and portions of the north and south ends and is over 152 meters long. As the project was nearing completion, it was revealed to be $5 million over budget, making the total cost of the renovation $36 million. The agreement between the city and Portland Timbers owner Merritt Paulson meant that Paulson was responsible for any cost overruns larger than $1 million. The newly renovated stadium made its début on April 14, 2011, when Major League Soccer's Timbers defeated the Chicago Fire, 4–2. The announced attendance at Timbers games in 2011 was 18,627, a sell-out. A few thousand seats were added for two games late in the 2011 season. About 2,000 seats were opened up for the 2012 season, bringing capacity up to 20,438. Following the 2012 season in which the Timbers' average attendance was 20,438, during the 2012–13 off-season the Timbers widened the pitch for the 2013 season, adding two yards on each side to achieve a width of 74 yards (68 m). The team widened the pitch by another yard in 2014, for a total pitch size of 110 by 75 yards (101 m × 69 m). In April 2017, the Portland Timbers unveiled a US$50 million renovation plan which would add roughly 4,000 new seats to the eastern side of the stadium. Timbers' President of Business Mike Golub stated that "We felt it was imperative to see how we could transform the stadium and add capacity to both meet the demand that we have for tickets and also position the club to be viable and competitive for years to come", referencing the Timbers' current season ticket waitlist of approximately 13,000. The Timbers report that the renovation will come at no cost to the City of Portland and will bring the stadium capacity to roughly 25,000. The club partnered with Portland-based Allied Works Architecture to design the expansion, and began construction in late 2017 with the goal of having the renovated stadium ready in late May or early June of the 2019 MLS season. On August 28, 1977, the stadium was site of the North American Soccer League Soccer Bowl '77 between the New York Cosmos and the Seattle Sounders, the last official game of the legendary Pelé. The Cosmos won the championship. On September 7, 1997 the stadium hosted a World Cup soccer qualifying match between the United States men's national team and Costa Rica. A raucous capacity crowd of 27,396 saw the U.S. squad win, 1–0, on a goal by Tab Ramos in the 79th minute. The stadium was the site of four group matches in the 1999 Women's World Cup. The stadium also hosted two group matches, two quarterfinals, and both semifinals in the 2003 Women's World Cup. On July 1, 2009, the venue hosted the third-round match of the Lamar Hunt U.S. Open Cup between the Portland Timbers and their rivals the Seattle Sounders FC. Providence Park hosted the 2014 MLS All-Star Game. During the 1970s, the Jantzen swim wear company had a 3D model of the Jantzen girl hovering overby cable over the left field wall in its baseball configuration. The Jantzen girl was in play because it was below the top of the wall and it was hit a couple of times over the years. On May 27, 1991, the stadium received national attention when Vancouver Canadians outfielder Rodney McCray, while attempting to catch a fly ball, crashed through a wooden advertisement behind the warning track in right-center field; a real-life version of an incident in the fictional book and film, The Natural. While McCray failed to make the out, he only suffered scrapes and bruises and remained in the game. Highlight reels of that play ran for weeks on cable channels such as CNN and ESPN. On August 12, 2006, the Beavers commemorated the event with a Rodney McCray Bobblehead Night, passing out bobbleheads of McCray to fans and renaming right-center field "McCray Alley". On July 15, 2009, the stadium hosted the Triple-A All-Star Game, with the International League stars defeating the Pacific Coast league, 6–5. The game was attended by 16,637 fans, the largest crowd for a Triple-A All-Star game since 1991, and the third largest at the time. Portland's Chad Huffman won the Home Run Derby. On October 27, 2007, the stadium hosted the highest-scoring game in modern NCAA football history, when the Weber State University Wildcats defeated the PSU Vikings, 73–68, a combined point total of 141 points. This point total eclipsed the previous NCAA record of 136 points, set in a 1968 Division III game, and the previous Division I record of 133 points, set in 2004. While this record lasted only two weeks, and has been surpassed four times in all, it remained the highest-scoring game involving NCAA Division I teams until 2018, when Texas A&M defeated LSU in a 74–72 seven-overtime game. On September 2, 1957, Elvis Presley performed one of the first outdoor stadium rock concerts in music history (Presley held the first ever in Vancouver, BC, Canada just a few days earlier at Empire Stadium) there on his four-day tour of the Pacific Northwest. The concert created mass hysteria, and an estimated 14,000 people attended the concert. In a November 8, 2013 interview with the Portland Business Journal, Portland Timbers owner Merritt Paulson expressed his desire to host summer concerts at the stadium. In 2010, PGE Park was a filming location of Season 2 of the television series Leverage. The episode depicts a fictional Massachusetts (where the series was set) minor league team also known as the Beavers. Since approximately 1985, the field has been home to a feral cat colony, which may have been at the park before the current stadium opened in 1926. There are an estimated 12–19 cats in the colony, referred to as "living rat traps". After a construction worker killed a feral cat in 2000, the park enlisted the Feral Cat Coalition of Oregon to assist the animals during construction efforts and to run a trap-neuter-return program. The cats are discussed in Chuck Palahniuk's travelogue of Portland, Fugitives and Refugees. ^ a b Prince, Tracy J. (2011). Portland's Goose Hollow. Charleston, South Carolina: Arcadia Publishing. p. 2. ISBN 978-0-7385-7472-1. ^ a b Orr, Michael A. (December 31, 2013). "Timbers Expanding Width of Field to 75 Yards". Retrieved January 1, 2014. ^ "Multnomah Stadium Acquisition Bonds" (PDF). pdxcityclub.org. November 8, 1966. Archived from the original (PDF) on March 9, 2011. Retrieved April 21, 2012. ^ Multnomah County OR Archives Biographies – Hansen, L. W.
^ "October 9, 1926: Multnomah Civic Stadium is Dedicated". Dave Knows Portland. Retrieved January 16, 2016. ^ StadiumDB.com. New design: Five tiers for Portland. Accessed 2019-01-25. ^ a b Goldberg, Jamie. "Portland Timbers expect to play first 12 games on the road in 2019 due to construction at Providence Park". oregonlive.com. Retrieved January 25, 2019. ^ a b Goldberg, Jamie (February 10, 2014). "Portland Timbers to rename their stadium Providence Park". The Oregonian. Retrieved February 10, 2014. ^ "Vikings Play At Jeld-Wen Field In 2011". ^ "PGE Park renamed Jeld-Wen Field". ^ "Kurt Russell Minor League Statistics & History". Baseball-Reference.com. Retrieved February 13, 2014. ^ "Portland Beavers Moving to Tucson". ^ Larabee, Mark (May 29, 2009). "Beavers Must Move Out of PGE Park, League Says". The Oregonian. Retrieved September 13, 2009. ^ a b c "Civic Stadium". Oregon Historical Society. Archived from the original on January 4, 2006. Retrieved April 27, 2011. ^ "Multnomah Stadium". www.oregonencyclopedia.org. Retrieved January 16, 2016. ^ a b Quick, Jason (February 11, 2014). "Issues and Answers: No matter what the stadium is called, Providence Park is a place where memories are made". The Oregonian. Retrieved August 7, 2014. It was built in 1926 by what is now the Multnomah Athletic Club for $502,000 and called Multnomah Civic Stadium. In 1966, it was sold to the city of Portland for $2.1 million, and became known as Civic Stadium. In 2001, it became PGE Park and in 2011 Jeld-Wen Field. ^ a b "Timbers rename home stadium JELD-WEN Field" (Press release). Portland Timbers. March 14, 2011. Archived from the original on March 18, 2011. Retrieved April 27, 2011. ^ Larabee, Mark (June 24, 2009). "Major League Soccer plan still alive as Portland council endorses latest plan". The Oregonian. Retrieved June 25, 2009. ^ Haberman, Margaret (July 23, 2009). "$31 million PGE Park renovation passes 4–1". The Oregonian. Retrieved April 18, 2011. ^ Jug, Helen (August 5, 2009). "Vision for PGE Park: A place that says 'soccer'". The Oregonian. Archived from the original on March 11, 2011. Retrieved April 18, 2011. ^ "Lighthouse and TS Sports Make an Impact with LED Video at Portland's Jeld Wen Field". May 17, 2011. Archived from the original on September 9, 2011. Retrieved August 21, 2011. ^ Neves, Randy (March 3, 2011). "PGE Park project $5 million over budget". KGW. Archived from the original on January 17, 2012. Retrieved July 2, 2011. ^ "PGE Park would have similar capacity under soccer remodel, designers say". The Oregonian. September 22, 2009. Retrieved April 18, 2011. ^ Arnold, Geoffrey C. (August 28, 2012). "Portland Timbers to widen field for 2013 season". Retrieved January 7, 2013. ^ Timbers.com Staff (April 26, 2017). "A soccer cathedral grows: Providence Park to add approximately 4,000 new seats in modern expansion | Portland Timbers". Timbers.com. Retrieved April 29, 2017. ^ a b Goldberg, Jaime (April 26, 2017). "Portland Timbers unveil $50 million stadium expansion plan for Providence Park". The Oregonian. Retrieved April 27, 2017. ^ Goldberg, Jamie (January 11, 2018). "Providence Park stadium expansion construction is underway and on schedule". The Oregonian. Retrieved April 23, 2019. ^ Arnold, Geoffrey C. (July 11, 2013). "Portland to host 2014 MLS All-Star Game". The Oregonian. Retrieved July 11, 2013. ^ "Portland to host 2014 All Star Game". StadiaDirectory.com. Archived from the original on July 19, 2013. Retrieved July 11, 2013. ^ The Portland Beavers. Arcadia Publishing, page 82. August 2004. ISBN 978-0-7385-3266-0. Retrieved June 23, 2009. ^ Bachman, Rachel (August 12, 2006). "An effort at de-fence worth remembering". The Oregonian. Retrieved January 21, 2007. ^ "Triple-A All-Star Game Results (2008–2012)". Triple-A Baseball. Retrieved July 7, 2017. ^ "Weber State football: Wildcats earn record-setting win". Associated Press. October 28, 2007. Archived from the original on February 6, 2008. Retrieved October 29, 2007. ^ a b "Elvis Presley: Multnomah Civic Stadium Portland, OR : September 2, 1957". Retrieved January 16, 2016. ^ a b "Scotty Moore – Multnomah Civic Stadium – Portland, OR". Retrieved January 16, 2016. ^ "'Leverage' turns Portland into 'Beantown West'". OregonLive.com. Retrieved January 16, 2016. ^ a b c d Balas, Monique (April 11, 2011). "Jeld-Wen Field crews take care of feral cat colony while getting ready for the Portland Timbers". The Oregonian. Retrieved April 11, 2011. ^ a b c Palahniuk, Chuck (2003). Fugitives and Refugees: A Walk in Portland, Oregon. New York: Crown Journeys. pp. 153–155. ISBN 1-4000-4783-8. ^ Hunt, John (June 12, 2009). "Portland Beavers' Ken Puckett nearing milestone (1,000 consecutive events) for durability". The Oregonian. Retrieved April 11, 2011. Wikimedia Commons has media related to Providence Park. This page was last edited on 24 April 2019, at 11:26 (UTC).